If you see groups of people walking around like zombies in your neighborhood this week, don't call police — they're just trying to catch 'em all. They're (likely) playing Pokemon Go, an "augmented reality" game that sends players to real-world locations to capture virtual creatures. A game that's forcing people to actually get up and walk around? It's true. And if it seems like everyone is playing, it's because they are. It became the top-grossing app in the iPhone store just days after its Wednesday release in the U.S., Australia and New Zealand. Here's a primer: To play, fire up the game on your smartphone and start trekking to prominent local landmarks — represented in the game as "Pokestops" — where you can gather supplies such as Pokeballs. Those are what you fling at online "pocket monsters," or Pokemon, to capture them for training. At other locations called "gyms" — which may or may not be actual gyms in the real world — Pokemon battle one another for supremacy. Got all that? Good, because those Pokestops and Pokemon are everywhere. Sometimes, they're in some unusual places. We even caught one critter trying to take over the airwaves at MPR News HQ. 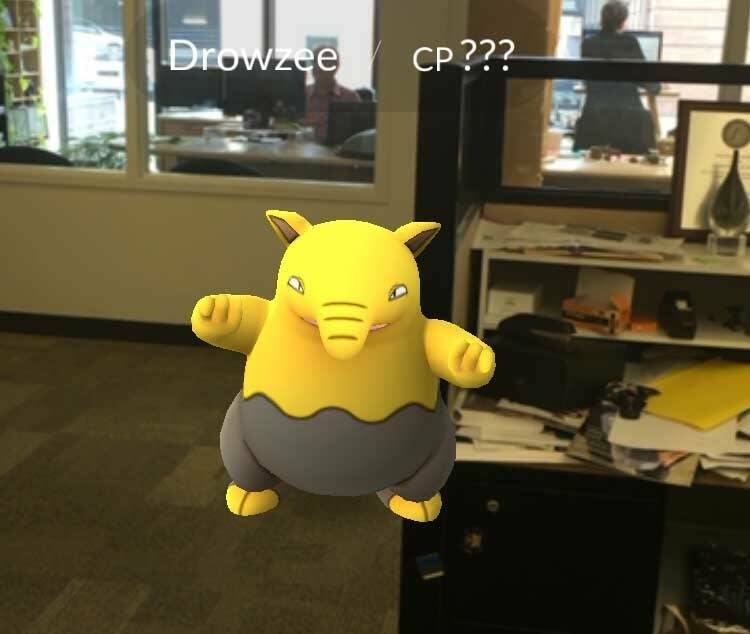 Gotcha, Drowzee! Unfortunately, people are so engrossed in the hunt that they're wiping out in the real world. Here's a friendly reminder to pay attention and watch where you're going. "It vibrated to let me know there was something nearby and I looked up and just fell in a hole," she said. Her parents had to drive her and her fiancé home. You'll also want to be careful because you might find something other than Pokemon. A woman in Wyoming found a man's body in a river. And in Missouri, four teens robbed victims after luring them to a specific location using Pokemon Go. Several police departments, like in Shakopee and Crystal, have now taken to social media urging people to play responsibly. Now go get that Charmander and Squirtle.